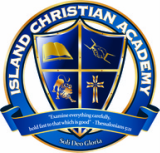 Island Christian Academy's director, Mrs. Chittim, has brought God's grace and wisdom to the school for many years. 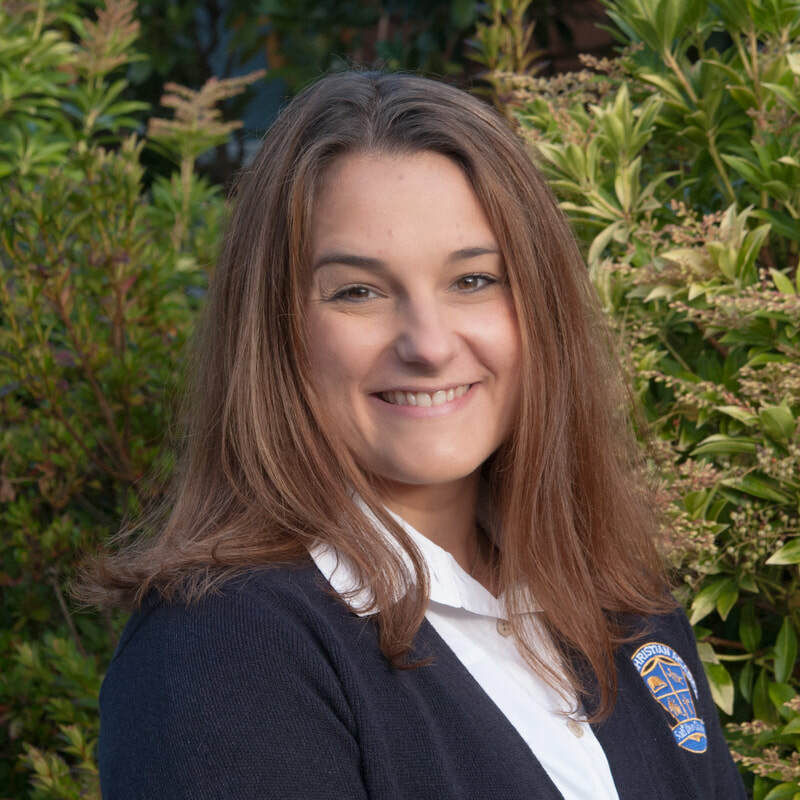 She has taught music, and first through third grade at two different private schools, and homeschooled her two children for nine years before joining the ICA staff in 2010. 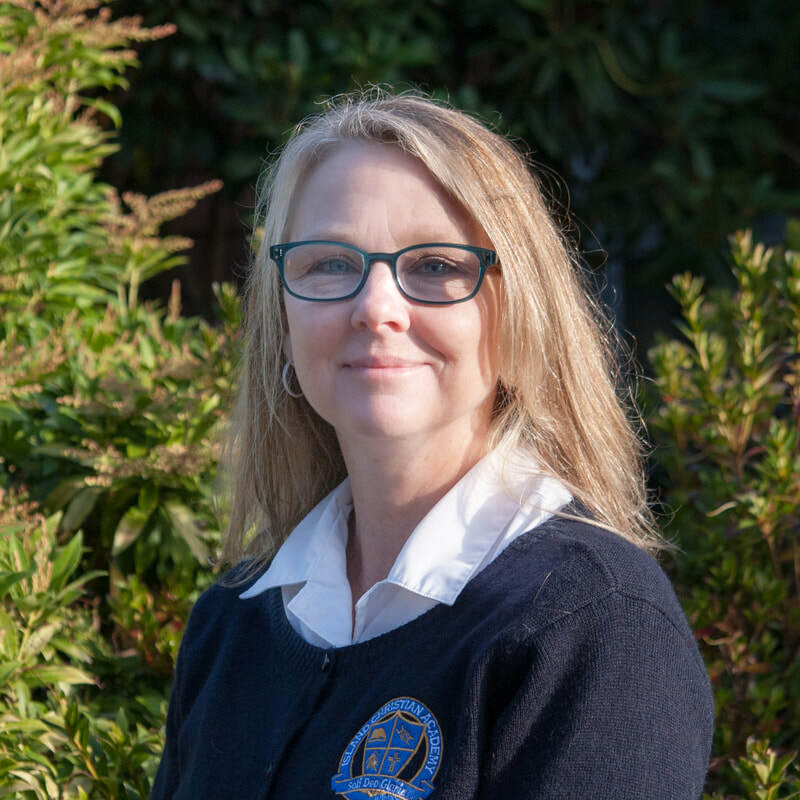 Mrs. Chittim received a bachelor’s degree in Church Music at Northwest University, and attends annual training conferences through Logos, a classical Christian education program. Miss Spear teaches our morning Preschool. Her afternoons are spent working on her Masters Degree. Miss Spear has a Bachelor of Arts degree and enjoys acting and theater, swimming and surfing, and being out doors. A fun treat for Miss Spear is the occasional Peanut M & M.
Mrs. Hardesty is our morning and afternoon Preschool teacher. She has been a volunteer and substitute staff member for 5 years. Mrs. Hardesty has worked in children’s programs for 15 years. Chocolate and coffee are her favorites while she keeps an eye on her dogs and turtles. Mrs. Schultz joins us this year to teach our afternoon Preschool. Mrs. Formhals joins us this year to teach our afternoon Preschool. Mrs. Phillips is our amazing Kindergarten teacher. 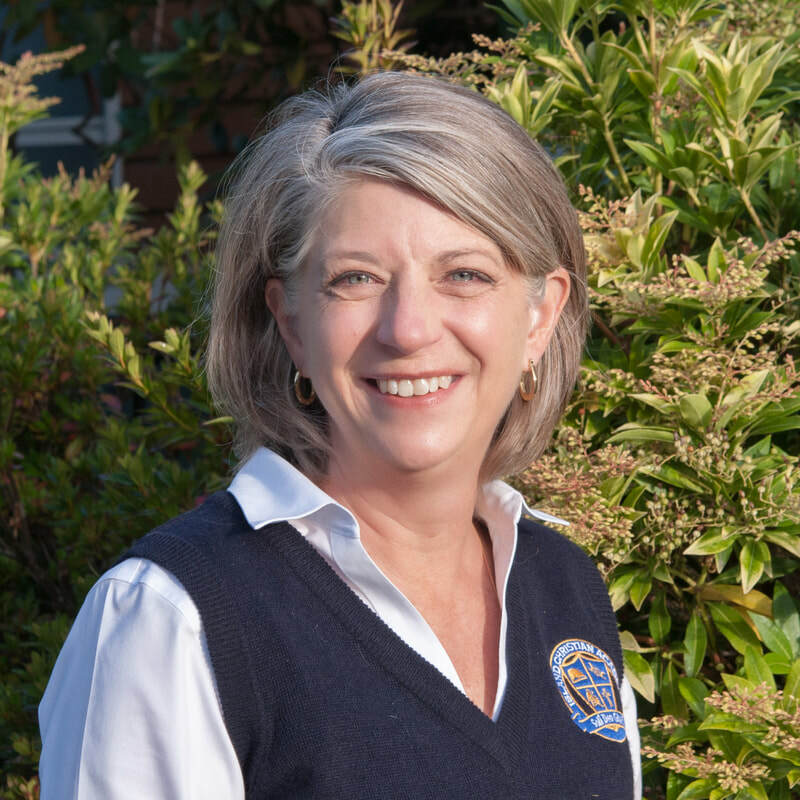 She has been involved in children’s ministries for over 35 years, which has included bible camp speaker, director of children’s ministries, and children’s choir. Mrs. Phillips founded and directed Elk Plain Christian Preschool. What energizes Mrs. Phillips the most is getting kids excited about learning. Her passion is teaching God’s word. Mrs. Bartel continues to teach and encourage our 1st graders. She is currently working toward a degree in Elementary Education with recent training in reading and spelling instruction. Mrs. Bartel has special training in Classical Education. She is an eBay Power Seller and has a knack for finding thrift store treasures. She loves to read and research just about anything. A special treat for Mrs. Bartel is coffee, coffee, coffee. Mrs. Mattson joins ICA full time this year teaching 2nd grade. ​Mrs. McCourt continues to inspire our 3rd and 4th graders with the love of learning. She has a BA in Education and a Masters in Psychology. 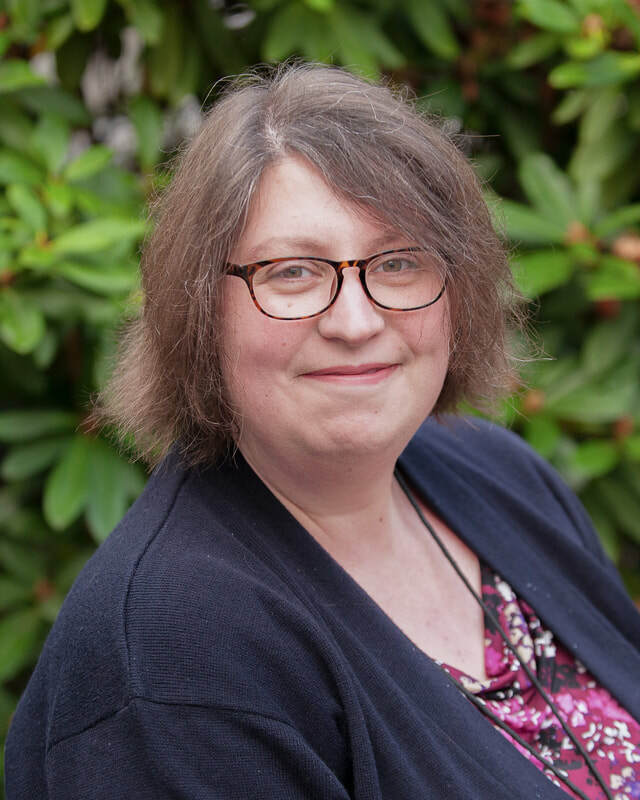 Her specialized training includes a certificate in elementary and secondary education as well as in children’s mental health. 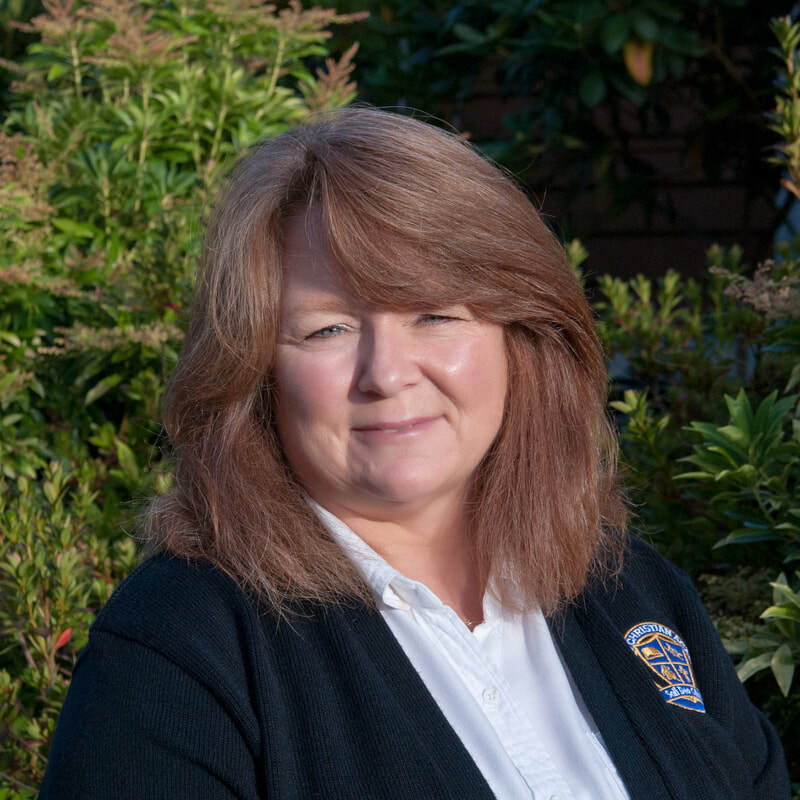 Mrs. McCourt has many years of experience as a public school elementary counselor and is a trained foster parent. Her favorite subject is Science. ​Mrs. Bartel is ICA's skilled Latin teacher. She also serves as part time bookkeeper and Curriculum Advisor. Mrs. Bartel received a BA in Social Science from WSU as well as an ACSI teaching certificate. She also has specialized training in Classical/Latin studies, and classical Christian education through the Logos and Veritas programs. Mrs. Grissom will teach 5th grade this year. She has a Bachelor of Science degree in Music Education, a Master’s degree in Piano Performance, and is currently a Doctoral Candidate in Worship Studies. Mrs. Grissom enjoys hiking, camping and ballroom dancing. Her extra special treat is strawberries. ​Mrs. McGill brilliantly teaches 6th grade. 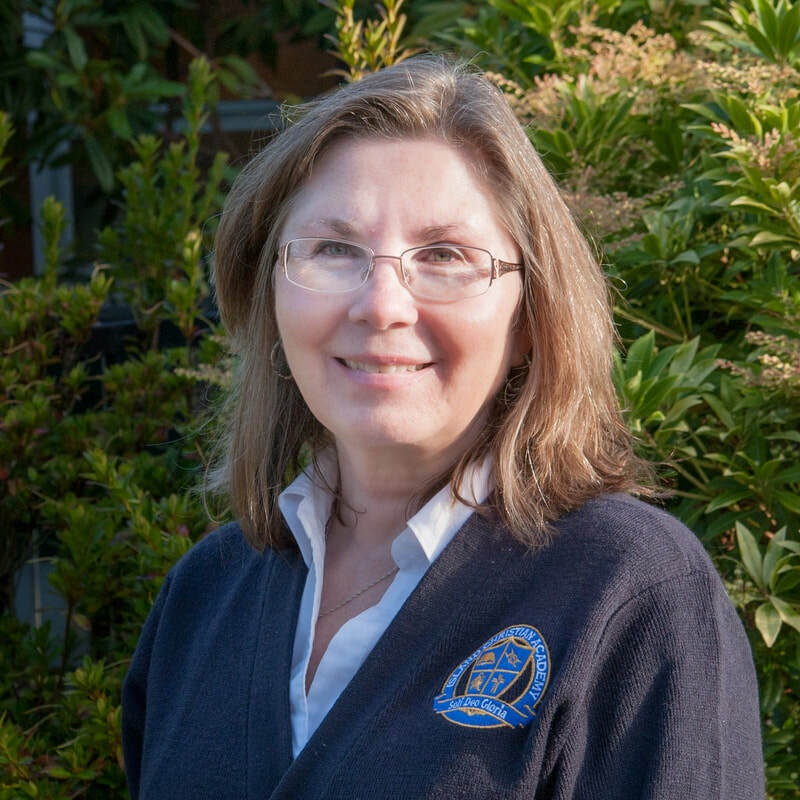 Prior to this, she taught math and science in the Mukilteo School District, and substitute taught for the South Whidbey School District. 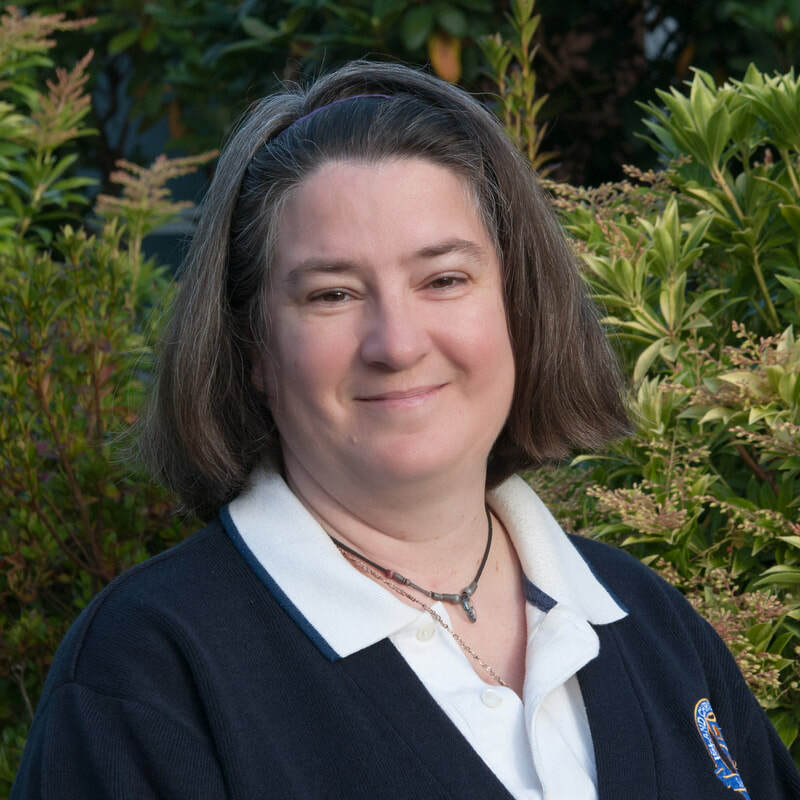 She has a Bachelor of Science degree from WWU and specialized training from the Logos classical Christian education program. ​Mrs. Justus teaches Junior High, Pre-Algebra and secondary English. In addition to homeschooling her own children for 12 years, she traveled to Micronesia, edited for the San Diego Tribune and copy edited for Alliant Techsystems. Mrs. Justus earned a BA in English from San Diego State University., as well as an ACSI Teaching Certificate. Refinishing furniture, and chocolate ice cream are Mrs. Justus’ favorites! ​Mrs. Wilmoth amazes our Junior and High School students with her great knowledge and energy teaching Science. 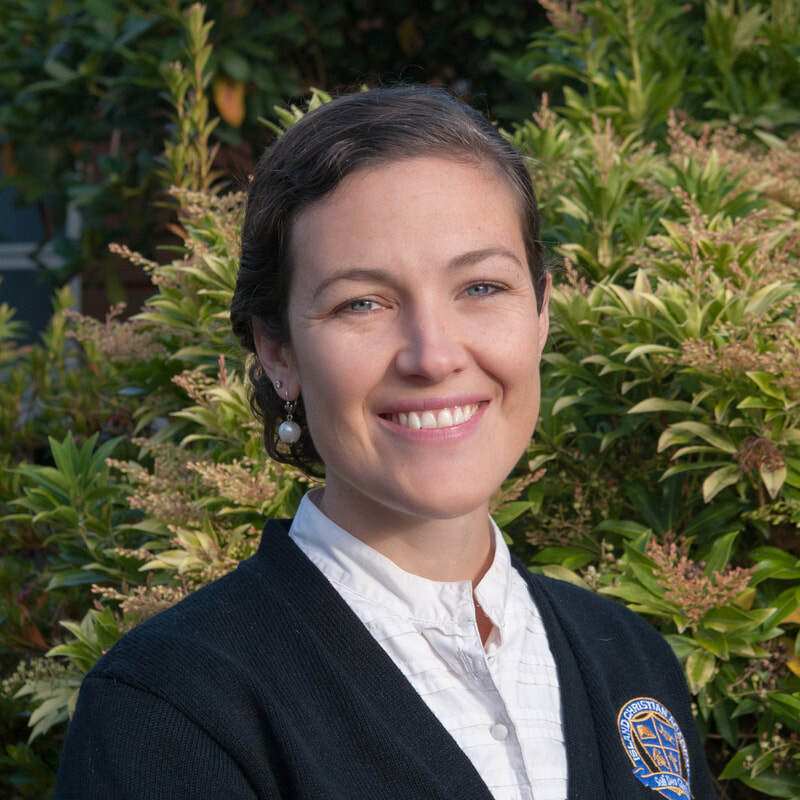 She has extensive teaching experience in public and private schools in California and Washington. 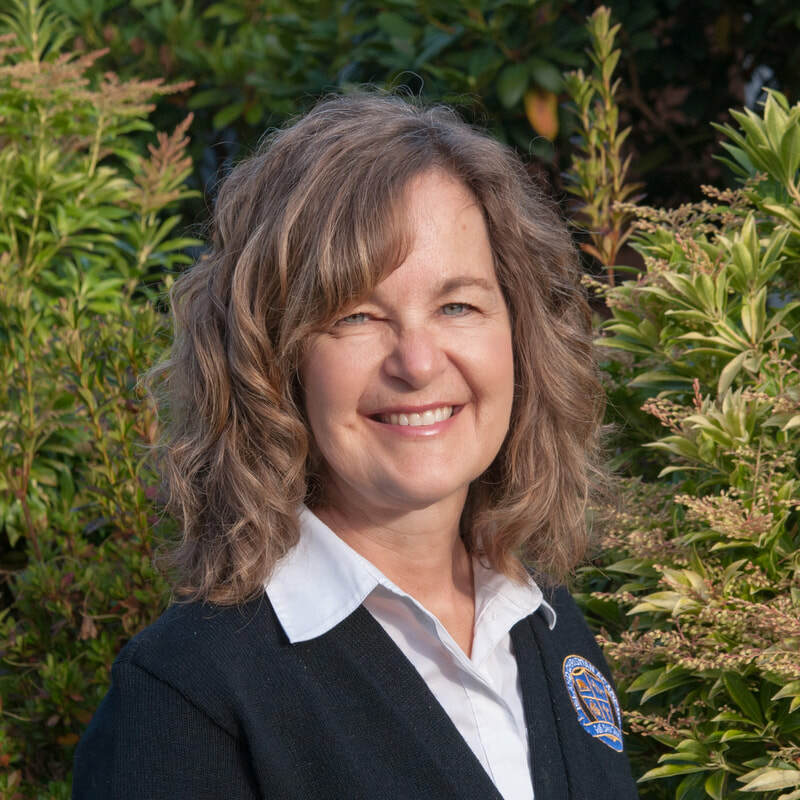 While in California, Mrs. Wilmoth obtained both a Bachelor of Science Degree in Zoology and a Secondary Teaching certificate. ​Mrs. Ohme serves ICA as an Administrative Assistant and Reading Specialist. 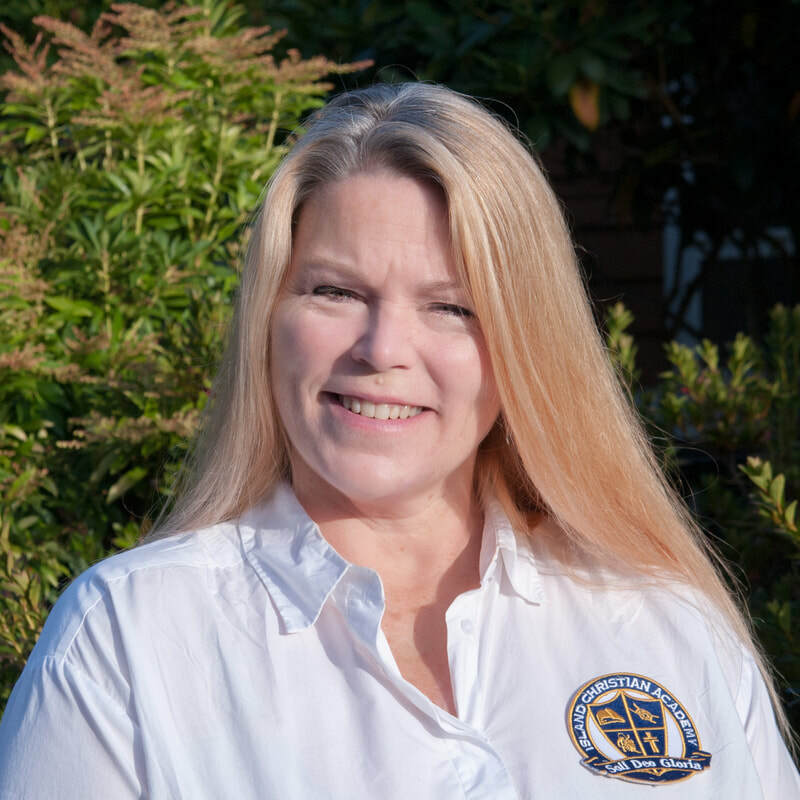 Mrs. Ohme has a BA of Science from the University of Arizona, a Master’s degree in Education from UW, and over 16 years of teaching experience. Her favorite subject to teach is reading. She loves coffee and chocolate! ​Mrs. 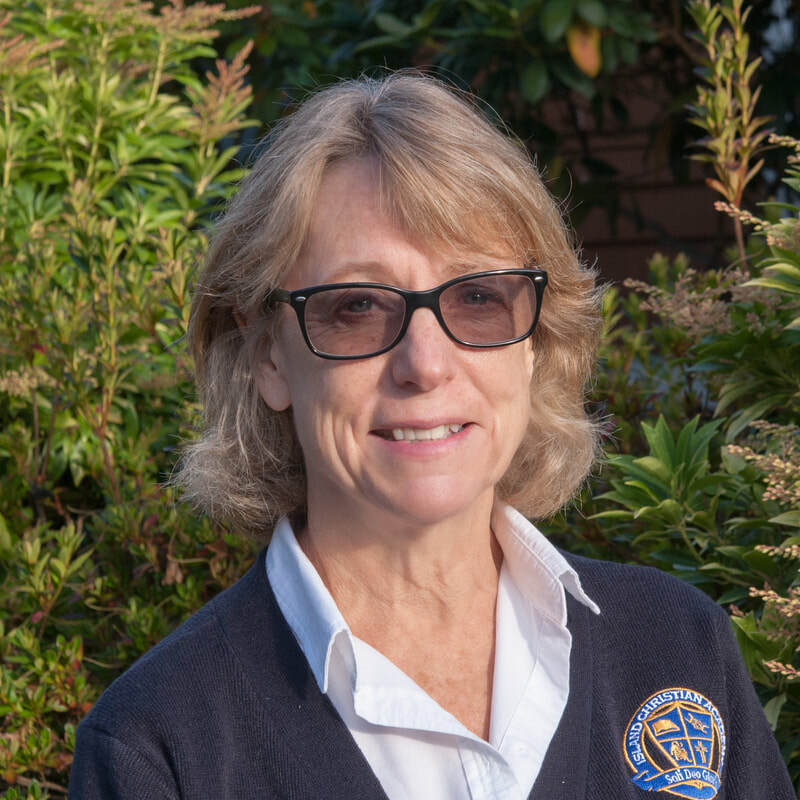 Sinclair is our Character Teacher, as she supervises students outside of the classroom, as well as escorts our students from buses to classrooms. ​Alyssa Graham volunteers in the office and in the classrooms every Thursday. She is an invaluable resource to the teachers and staff of ICA. Alyssa enjoys doing puzzles and coloring. Her favorite treat is pie!